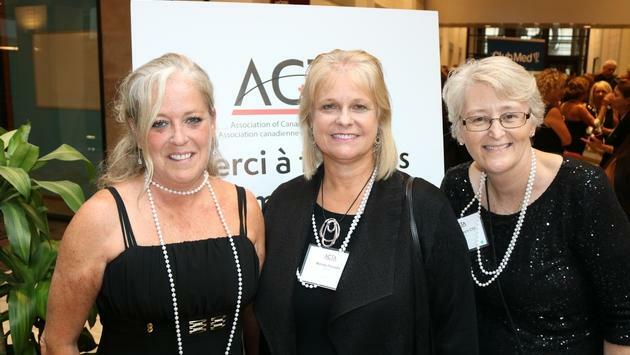 LtoR: ACTA's Manon Martel Regional Membership Manager, Quebec, Wendy Paradis, President and Doreen Lynch, Director of Membership. Last week as reported by TravelPulse Canada ACTA had received unprecedented backlash from the industry after Virtuoso announced an exclusive partnership agreement with ACTA. Today ACTA has offered up a third attempt to provide clarity to the announcement. While the release does not name Virtuoso one can only assume this is whom the announcement is referring to. “Over the last several days, a number of questions continue to be raised regarding the recently announced ACTA Consortia Partner Program. While the ACTA team has been working diligently to respond to these questions, some confusion remains. The ACTA Board Executive felt compelled to clearly address these items with a hope to resolve any further mis-understandings regarding the program. 1. Program Exclusivity – There is not and never will be exclusivity in the program. Any prior statements claiming so were not accurate or approved by ACTA. 2. ACTA Discounts – Any discounts provided on ACTA membership fees must be paid by the Consortia. ACTA will not subsidize any such financial incentives. 3. Participation – Although newly formed and still being finalized, the Consortia program is equally available to all ACTA members. ACTA would welcome discussions with all interested parties. Commenting on today’s release Lindsay Pearlman, Co-President, Ensemble, said “I was initially surprised and disappointed last week. Once the full extent of the Virtuoso/ACTA announcement was brought to light in the TravelPulse Canada article. I reached out to Wendy and members of the board on behalf of the Ensemble members and indeed the industry at large. Flemming Friisdahl founder of The Travel Agent Next Door was reached late on Wednesday afternoon and said, “It is refreshing that the board of ACTA recognized the error made here. I can only assume this is in relation to the Virtuoso announcement made last week. Taking a stance like this sends a clear message to the membership that all retailers shall be treated equally. Greg Luciani had this to say via email regarding today's statement “My hope is ACTA can find a way to really support the retailers and advocate for us at the federal and legislative levels and get away from marketing and promotions that do very little for the members - if anything they compete for the same marketing support. I see every other national association promoting the value of the membership to the consumer, for example teachers, nurses, accountants doctors, lawyers, real estate etc. Clicking on a supplier ad that takes you directly to the supplier on ACTA's website proves the association has lost its way." As part of a follow up story TravelPulse Canada was working on, we had feedback from agents from across Canada. One item, which caught our attention was the issue of supplier ads on the ACTA site. Feedback we received indicated agents are concerned that banner ads on the ACTA site link directly through to supplier sites, in some cases with special consumer direct offers. Holly McBean of Travel Only had this to say with regard to the sale of banner ads on the ACTA site: “If they advertise it should be general information and lead the customer to the agents who support them”. Debra Williamson of The Travel Experts had this to say on the subject " It is disappointing to see advertising that leads to a bid for direct bookings. Travel consultants have to battle the misconception every day that booking direct is less expensive. ACTA accepting advertising dollars that lead to ads which, however indirectly, supports this notion does not sit well."